With Sony’s newest portable console gearing up for release in Japan on December 17, many have been left wondering how much support their latest console offering would garner. 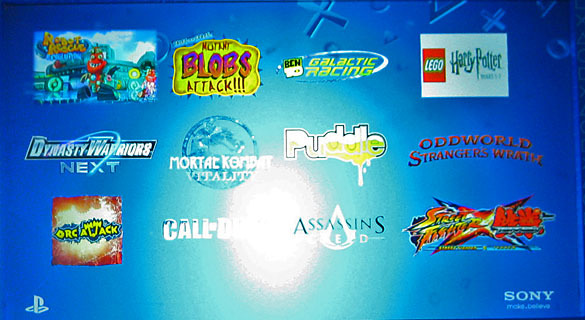 While other territories will have to wait until early 2012 for their chance to sample the PSVita, Senior Vice President of Worldwide Studios Europe Michael Denny today announced a multitude of titles planned for the console at a media event in London. Of note was mention of a Mortal Kombat title listed as currently in development. A presentation slide later revealed the title’s full name to be Mortal Kombat Vitality. The question still remains as to what this title will represent: could it be a port of this year’s hugely popular Mortal Kombat (2011) or something else entirely? Guess we’ll have to wait and see.